Romance and tragedy bind eight siblings who work with their parents at their family-run truck stop diner deep in the entrails of 1960’s industrial Saint-Boniface. El Toro no longer exists between the old Canada Packers and the Union Stock Yards but does very much so in the minds of the surviving DeGagné brood. 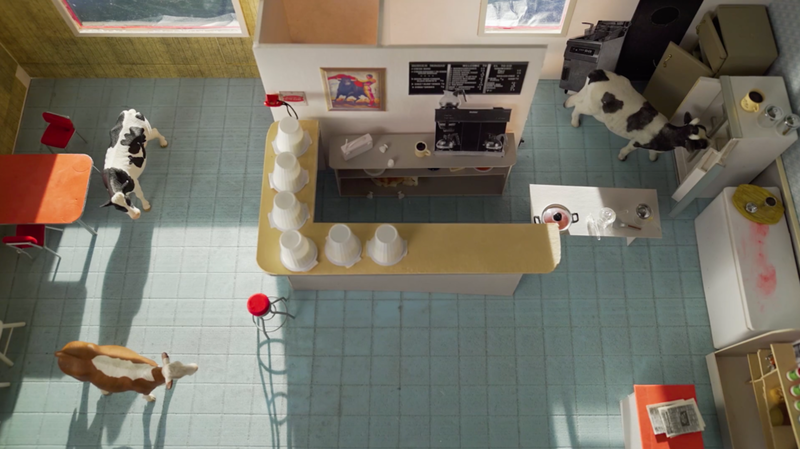 The film El Toro rebuilds the walls, stools, and atmosphere of the restaurant, recreating a surreal, rich, and imaginative world, evoking a lost time and place through the lens of memory, nostalgia and love. And yes, animals were consumed, filmed, drawn, and animated in this hybrid documentary.